Sunny Cape cottage on a wooded lot close to vibrant Everett Town Center. Bright, sun-splashed living room and colorful kitchen are perfect for entertaining friends and family! Comfortable single living level: 2 bedrooms and a bath plus bonus room on the second floor. Lots of storage in the basement. Convenient location with a walk score of 90 out of 100- daily errands do not even require a car. A nature lover's paradise! Nearby parks include David Mckinnon Park, Glendale Park and War Veteran's Park. Easy access to public transportation, Wellington T, quaint shops, cafes, junior high school, all in a close-knit and welcoming neighborhood. Could benefit from TLC but the location is excellent. Perfect alternative for a condo. Easy commute to Boston. Listing provided courtesy of Katya Pitts, Leading Edge Real Estate. Real Estate Listing at 18 Derne Street Everett, MA 02149. Description: The real estate listing at 18 Derne Street Everett, MA 02149 with the MLS# 72434272 is currently listed for $325,000 and has been on the Everett market for 66 days. 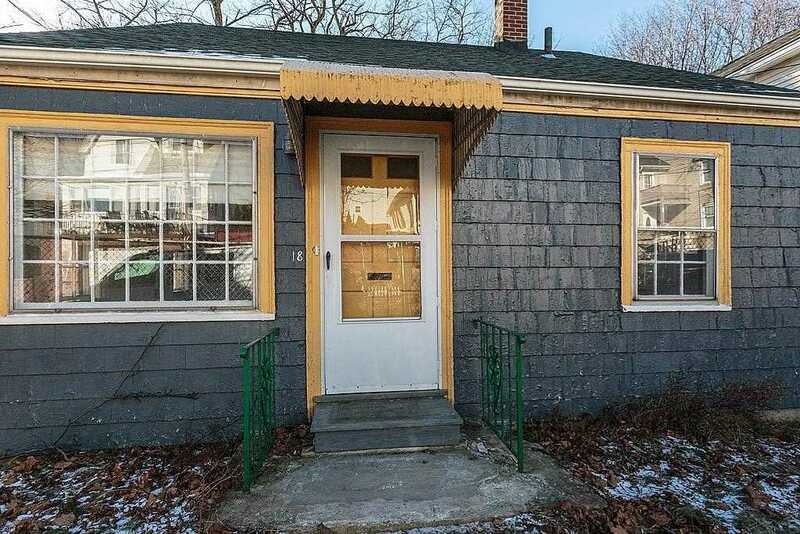 You are viewing the details of the real estate listing from MLSPIN at 18 Derne Street Everett, MA 02149, which features 2 bedrooms, 1 bathrooms, and has approximately 1080 sq.ft. of living area.